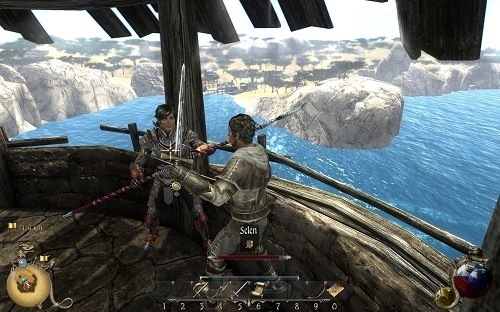 Two Worlds II is an action RPG sequel to the 2007 game (which was very mediocre). Two Worlds II is a huge improvement over the original and has plenty of enjoyable aspects for fans of the RPG genre. Players don’t choose a class at the start of Two Worlds II and instead develop their character through the four main stat attributes as they level up (endurance, strength, accuracy and will power). You’ll also have to place points in a variety of game skills which allows hybrid character styles to develop as you progress. 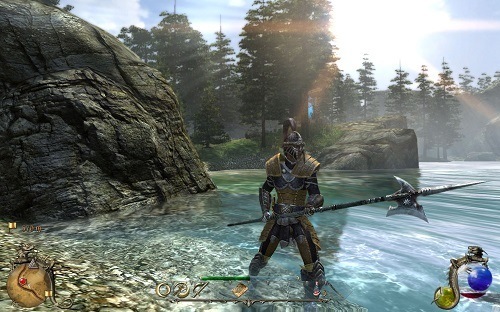 In addition to these gameplay focused customisation options players also have plenty of visual options at the start of their adventure. Two Worlds II is basically an open book from very early on allowing players to approach the non-linear storyline as they please. While most of this early exploration takes place on foot you can eventually ride on horseback, sail the seas or teleport to places you have previously discovered. It’s easy to get lost in your first dozen or so hours as you simply take in your surroundings and explore them for quests, loot and experience. The game uses high monster levels to stop you experiencing everything at once which gives you that fun feeling of returning to places once you are powerful enough to take your revenge. Connecting to the multiplayer environment lets you take part in a number of PvP options but the appeal is definitely in the adventure mode where players join up and tackle game objectives in a co-operative manner. Two Worlds II is a wonderful improvement on the original which failed to impress (or even pass as a playable game in most cases). The game is still rough in some areas but depending on what you like in a role playing game you might find Two Worlds II to be perfect for you. Improves dramatically on the original. Lots of visual character customisation to explore with lots of skills. A focus on crafting for equipment. Open world with a non-linear adventure. Fun adventure mode for multiplayer action.